MUNI and five other European universities have agreed to work together on building a consortium called European Digital UniverCity. 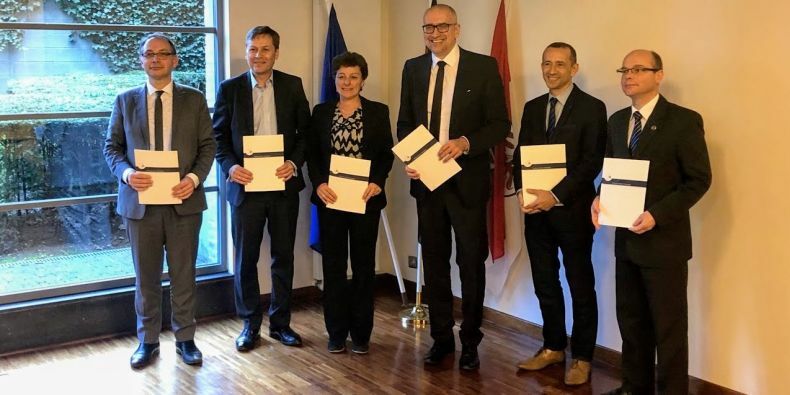 Representatives of the partnering universities, which are located across southern, central, and western Europe, agreed on the collaboration in a five-year memorandum. In reaction to the European Universities Initiative announced by the European Commission, Masaryk University and five other partners are planning to create a consortium called European Digital UniverCity (EDUC) to allow closer collaboration, particularly in education and student and academic exchanges. The goal is to build an Aristotelian community that will blur the lines between universities, countries, languages, and fields. For the project, MU has partnered with Università degli Studi di Cagliari, Université Paris Nanterre, University of Pécs, Universität Potsdam, and Université de Rennes 1. To implement the project, the universities have made a joint application for five million euros for a three-year period from the Erasmus+ Key Action 2. “Our goal is to build an Aristotelian community that will blur the lines between universities, countries, languages, and fields. By using modern teaching methods and increasing the mobility of both students and teachers, we aim to progress towards our long-term goal of helping our graduates become confident European citizens, who will be able to think across disciplines and live and work anywhere in Europe,” says Ivan Malý, MU vice-rector for internationalisation. The partnering universities, which are located across southern, central, and western Europe, agreed on the collaboration in a five-year memorandum. This means that to some extent, the idea should become reality regardless of whether they receive the funding they applied for. The final decision on which projects will be funded is expected during the summer.